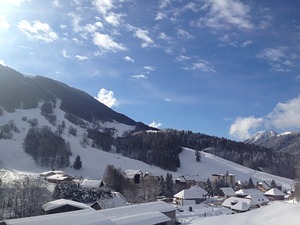 Is it snowing in Aillons-Margeriaz ?¡Gracias! 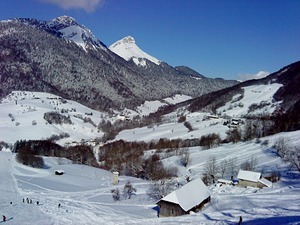 The villages that make Aillons-Margeriaz, in Savoie, are surrounded by the Regional Nature Reserve of Les Bauges. 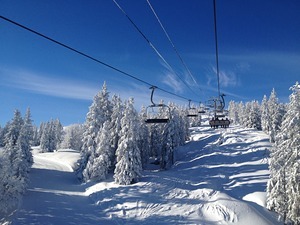 In addition to 20km of pistes downhill skiing at Aillons-Margeriaz, there is cross-country skiing, snowboarding, snowshoeing or paragliding. I can only re-iterate the comments of the previous posts. 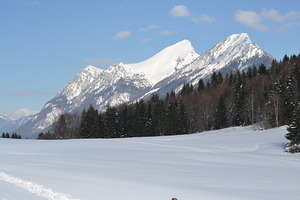 Well kept pistes and plenty of opportunities for off-piste too. Very pretty tree-lined pistes, never too busy. In fact, mid-week outside of the French school holidays you can pretty much have them to yourself. 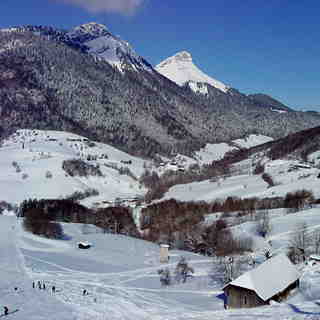 At Margeriaz there is a shack called La Bergerie which is a great place to stop for a vin chaud or some traditional Savoyard food. Although the hotel at Les Aillons is closed there are some great chalets for rental at the nearby village of Le Chatelard which you can find on the HomeAway website.